European Western Balkans continues with series of interviews with key people from Western Balkans countries which are involved in European integration process of their countries. Mrs. Jadranka Joksimović is Minister without portfolio in charge of European Integration in the Government of Republic of Serbia. She graduated at the Faculty of Political Sciences, Department of International Relations at University of Belgrade as the best student in generation. Mrs. Joksimović became an MP in the National Assembly of Republic of Serbia after elections in May 2012, and during that term she was president of the Parliamentary Committee for the Control of Security Services, a member of the Committee for European Integration and the Committee for Stabilisation and Association Agreement. Since the establishment of the Serbian Progressive Party, she was manager for Public Relations at the party and also Secretary for International Affairs. From April 27th 2014 she is minister in Government of Republic of Serbia. 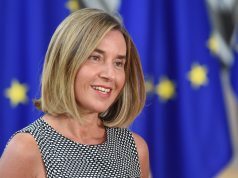 European Western Balkans: What is your personal opinion about the European Union and about importance of integration of the Republic of Serbia in the EU? Mrs. Jadranka Joksimović: The fact that I have accepted the position of Minister without portfolio in charge of European Integration in the government of the Republic of Serbia shows how much I believe in the European future of Serbia. At the same time, I think it is important to get all the benefits of membership in the EU by taking advantages of the substantial progress of society. Everything is not perfect, but if you set a strategic goal then you have to implement it. EWB: What is the role of Cabinet of Minister without portfolio in charge of European Integration in coordination of negotiators and Government of Republic of Serbia? Can you explain in what ways Cabinet of Minister contributes negotiation process? JJ: The role of the Minister without portfolio in charge of European Integration in the government of the Republic of Serbia is clearly institutionalized and positioned in the structure of coordination of the accession negotiations. Minister without portfolio is at the head of the Council of coordinating body that brings together the heads of all 35 negotiating groups headed by state secretaries of ministries. My task is that priorities in the negotiations and harmonization with the EU should be translated into projects that facilitate the implementation of these priorities, and actually to help relevant ministers to implement the European reform agenda. My most important role is to “push” the agenda of Government and ministries in the direction that will facilitate and accelerate the process of negotiations. Finally, everything that we do is needed to be presented to the EU partners, primarily the Member States, but most of all to our citizens. The citizens of Serbia are those who decide on Serbia’s membership in the EU and therefore communication with them and explanation of the effects of the integration process are very important. EWB: How is the adoption of European standards, regardless of the integration of Serbia into the EU, important for the citizens of Serbia? JJ: Standards that are before us on the path of European integration are important to our citizens because their use means living in a more orderly system. The process of negotiations with the EU and the reforms that will be carried out in our country in that process and aimed at strengthening institutions and the rule of law are parallel and synergistic process. Because of that we want as soon as possible to become ready for the opening chapters 32, 23 and 24 of Community acquis. Chapter 32 refers to financial control of the budget spending and our goal is to achieve the highest possible degree of budgetary discipline. Citizens must know how their money is spent. On the other side without reform of the judiciary, the police, the fight against organized crime, the fight against corruption, respect of human and minority rights and freedom of the media, it is not possible to carry out reforms in any area of social life. For example, reform of the judiciary means that all people are equal before the law, that there is no more cases pending for years in the drawers, and that the state administration has to provide adequate service to the citizens who pay for it. Also, we have started with the strengthening of state institutions, rationalizing and increasing the efficiency of public administration, in order to create a modern, efficient, cost effective state apparatus that will be in the best interest of the service and the needs of citizens and businesses environment. These examples show what extent the European agenda is actually our internal agenda. Enlargement is not a one-sided process in which only one party should benefit. On the contrary, the common interest of both EU and Serbia is unquestionable. To conclude, European integration is a tool available to each new member and its government and society. How EU funds will be used depends on the one you use. We have of course the interest to do everything, all necessary reforms in the interest of Serbia and its citizens. EWB: Do you have consultation with your counterparts from other governments in the region which are included in the accession process or which are from member states? What are areas in which you cooperate? JJ: Collaboration with colleagues from other governments in the region has been institutionalized and based on good regional cooperation. 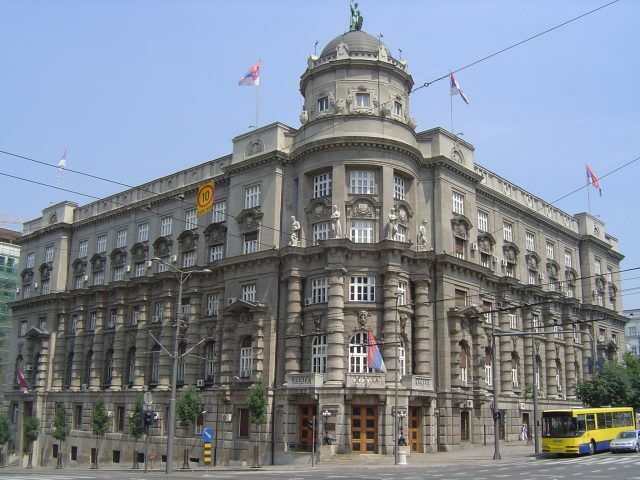 Serbia has signed memoranda in the areas of European integration with Croatia, Montenegro and Macedonia. So cooperation takes place in areas that are highlighted in these memorandums. We achieve regular contacts by exchanging experience in the coordination of the EU negotiation process, as well as actions on a number of projects primarily in the area of cross-border cooperation. EWB: Do you and how do you cooperate with the European Commission and Commissioner for Enlargement? 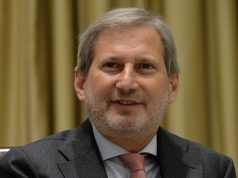 JJ: In addition to cooperation with local institutions by the nature of work when it comes to foreign partners we are most referred in cooperation with the European Commission, particularly its part which deals with the enlargement policy, especially the Commissioner for Enlargement, his cabinet, the Directorate for the Western Balkans Department for Serbia. Also, there is permanent communication and cooperation with the Delegation of European Union in Serbia. EWB: Do you think that, in addition to the harmonization of the laws and policies with the EU, should lead to changes in the ratio of members of Serbian Government to their responsibilities? In which direction these changes should be directed? JJ: We have a good opportunity to intensively take the initiative in implementing the reforms necessary to open most of the negotiation chapters. Accordingly, the ministers have been focused on directing all available resources in their respective areas in coordination with other colleagues, the adoption and implementation of the acquis and reaching standards that would make Serbia a functional and a full member of the European Union. I see the turnaround in this, taking the initiative and finding the best solutions compared to our society, and not merely in uncritical adoption of the model. After all, there are plans of harmonizing after which it will be clearly possible to measure the performance of each minister. I want to emphasize that the process of European integration does not depend on any individual but the efficiency and performance of all institutions that are involved. EWB: What do you consider to be especially important for further integration of the Republic of Serbia in the EU? JJ: The Republic of Serbia has started negotiations with the European Commission and determined that its chance and perspective in the EU realized the best way towards a realistic schedule. Therefore, the most important is of our continued readiness and political will to continue the important reforms. Serbian Government with its recent actions has shown that it is maximally focused on the effective and efficient implementation of the reforms. There is lot of challenges, but it is important not to try to escape from them, but to go to meet them and to initialize ones that any other state during the negotiation process delayed. EWB: Thank you Mrs. Joksimović for cooperation. European Western Balkans wishes you very best in process of integration of Republic of Serbia into European Union.